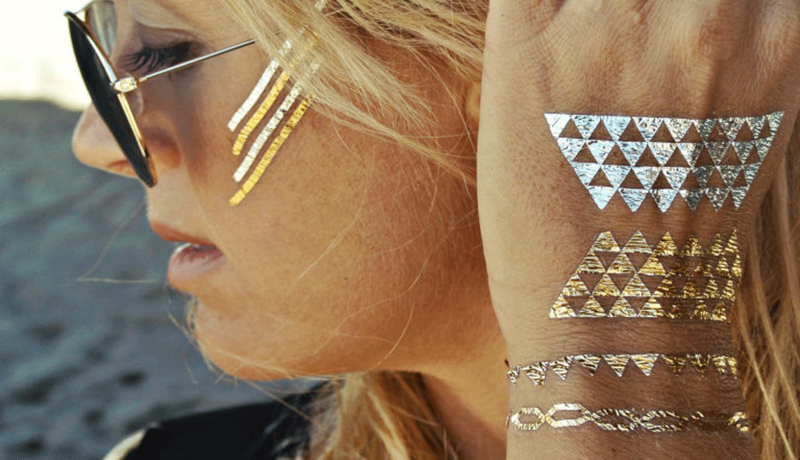 For a more glamorous addition to your next event try the new Flash tattoos. Flash tattoos are perfect for the fashionistas in the crowd that want some innovative temporary jewelry that looks stylish and lasts 4-6 days. 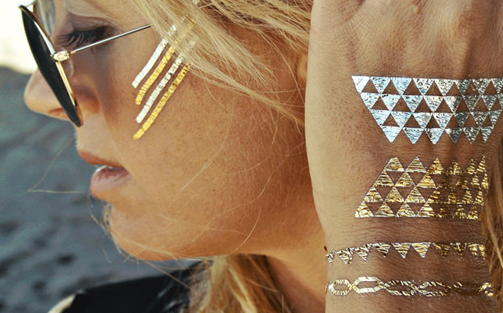 For a more glamorous addition to your next event try the new Flash tattoos. Flash tattoos are perfect for the fashionistas in the crowd that want some innovative temporary jewelry that looks stylish and lasts 4-6 days. 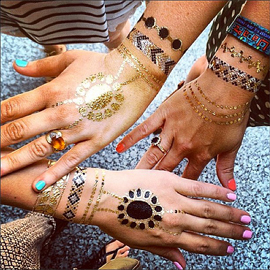 Flash tattoos are metallic gold, silver and black and come in unique designs and sizes to look like bracelets, necklaces, anklets or just for a hand or arm design.